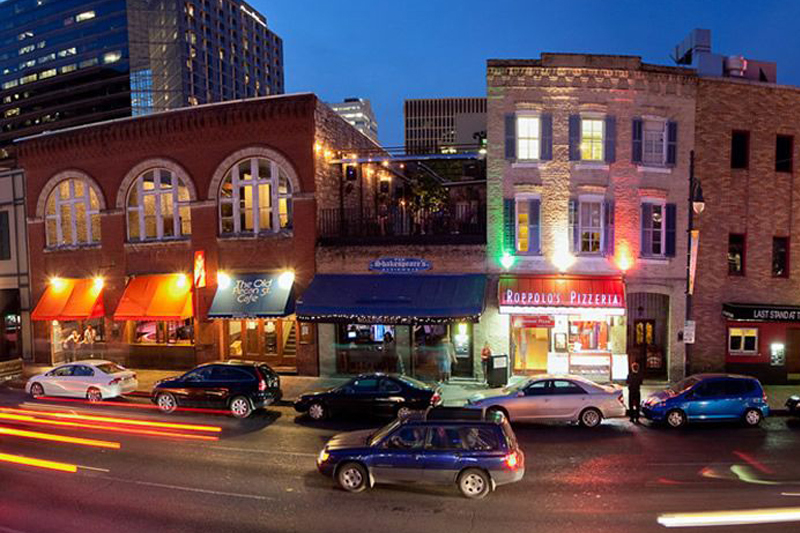 We are centrally located on the world famous 6th Street in Austin, TX. 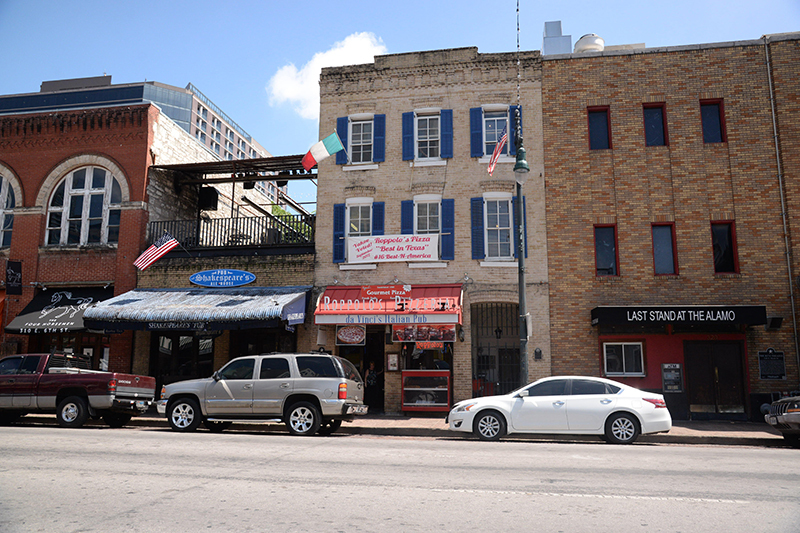 Stop by for a wonderful dinner and drinks. 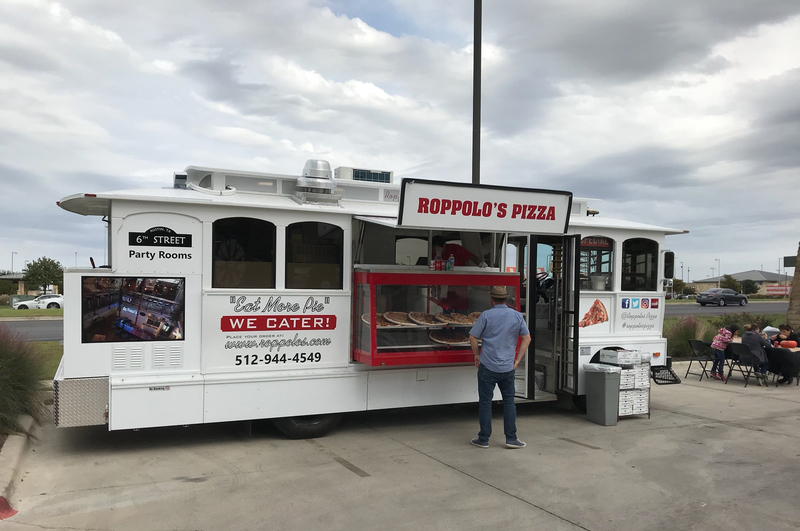 Our grab and go shop is just a stones throw away, or visit one of our pizza trucks conveniently located throughout the area. 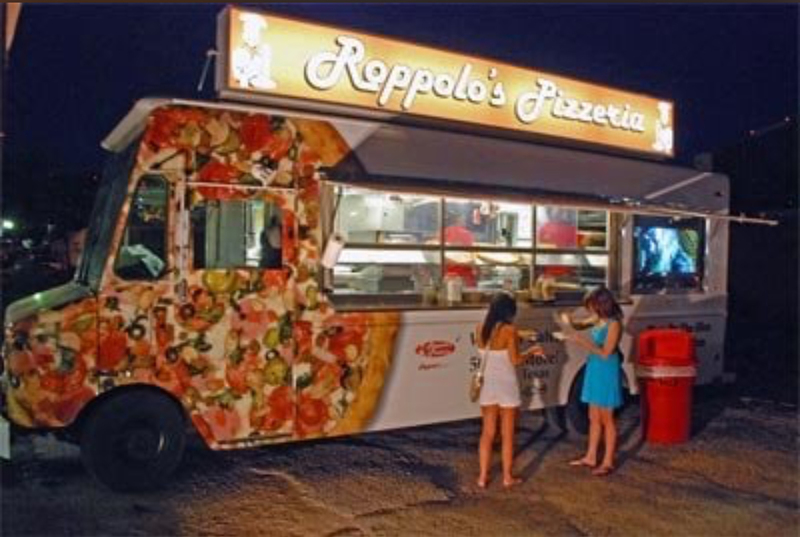 Mon-Wed from 6:30 pm to 3 a.m.
Thurs-Sat from 11 a.m. to 3 a.m.
Roppolo’s comes to you with our state-of-the-art Pizza Trolley! Don't feel like dropping by? We deliver! We’ve made it easy peasy to get the best tasting pizza delivered to your door. With our exciting new online ordering service place your order and sit tight. 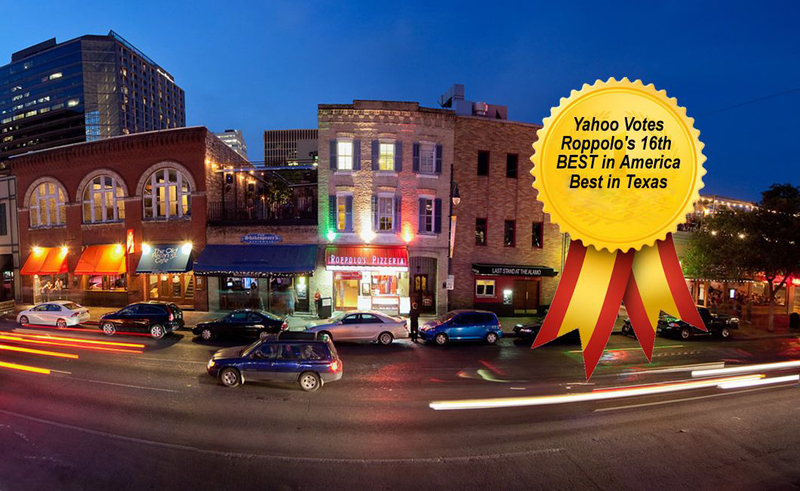 We’ll be at your door with the very best pizza in all of Austin!